Emily, my paternal great-grandmother, Jozefa Lukaszewska, was born in Poland around 1850. She, too, was illegitimate. 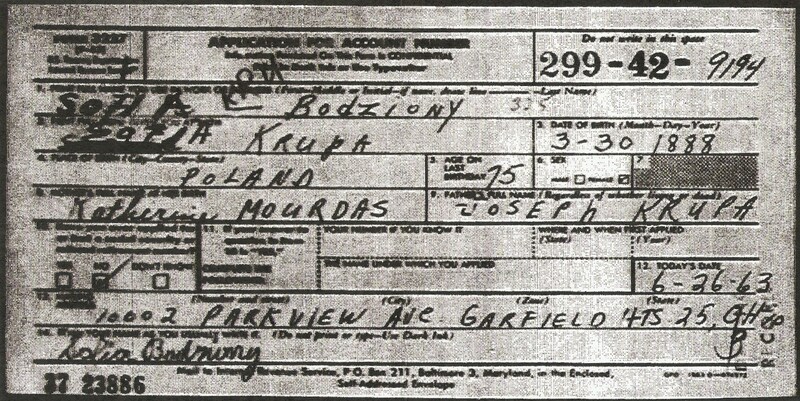 Her baptismal record only shows her mother's name, Anna Lukaszewska. She came to the U.S. in September, 1873. She and my great-grandfather were the parents of twelve. My grandfather, Frank Mrozinski (also my dad's name) was born in Cleveland and his wife, Mary Uinska (born in Poland) were also the parents of twelve.